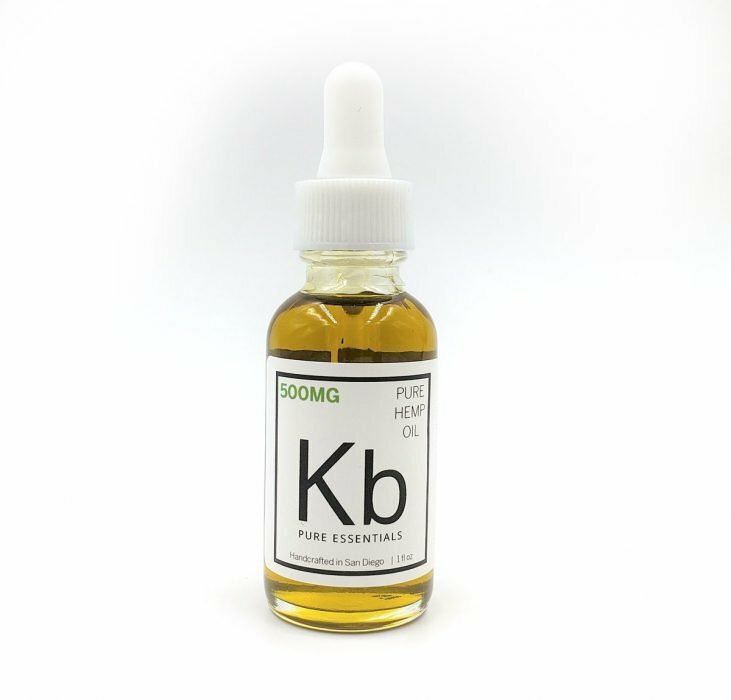 With 500mg of Organically Grown, US Sourced CBD Hemp CBD, pure olive oil sourced from California, essential oils extracted from the high quality ingredients, KB Pure Essentials brings you our most popular and BEST SELLING CBD Oil. 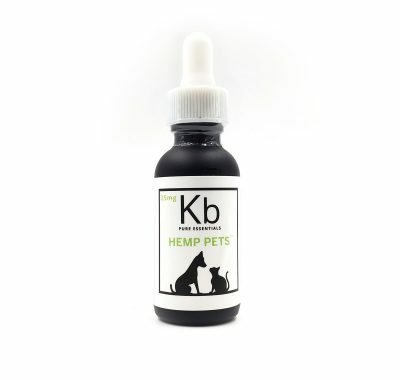 Hemp CBD oil is known for it’s many healing qualities and benefits including: hormonal balance, inflammation reduction, improved, clear skin, restful sleep, reduced stress and anxiety, pain management and more. 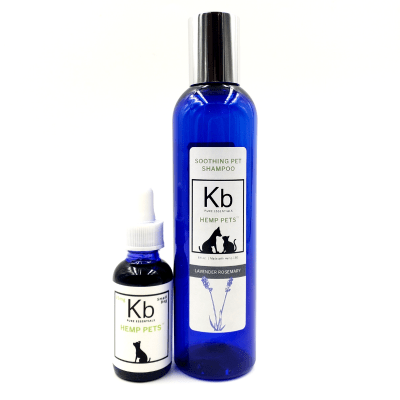 All our products are made in small batches and tested in labs to maintain quality control. 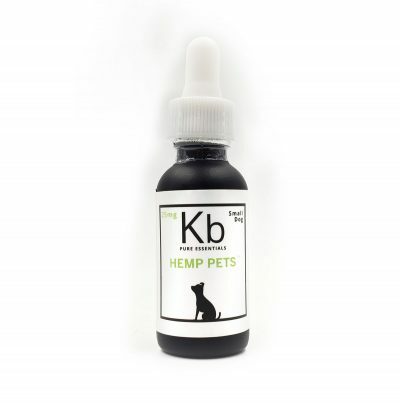 At KBPE, we use only the finest ingredients to consistently produce the purest products and deliver the maximum benefits of the whole hemp plant. If you are tired of the traditional over-the-counter remedies, CBD is the best natural alternative to medicine. Whole plant hemp extracts contain ALL of the available cannabinoids within the hemp material used to create your product. These extracts are also commonly known as full spectrum extracts. They may contain any combination of CBD, CBD-A, THC, THC-A, CBG, and so on. Note, that the cannabinoids present may be altered by the extraction and processing techniques used (ex: decarboxylating the hemp to create a CBD product instead of one with CBD-A). Legally speaking, the only restriction on whole plant hemp products is that they must contain less than, or equal to, 0.3% THC by weight. Anything over 0.3% THC by weight is considered a marijuana product; for which you need a medical marijuana card in the state of Vermont. The cannabinoids in whole plant extracts act in synergy, which increases the potential number of medical conditions that the extract may treat. This is called the “Entourage Effect”. The small allowed amount of other cannabinoids in hemp products is not believed to cause a psychoactive “high.” In fact, CBD will attach to your CB1 receptor, (where THC also binds) to create a high, but in reverse; thus decreasing psychoactivity. This is similar to how THCV works as an appetite suppressant, as opposed to THC, which gives you the munchies. A disadvantage of whole plant hemp extract is that because it does contain trace amounts of THC, these may build up in a user’s system over time, posing a liability in drug testing and other screening. Directions: Every person’s body chemistry is unique, and dosages must be determined by the user. 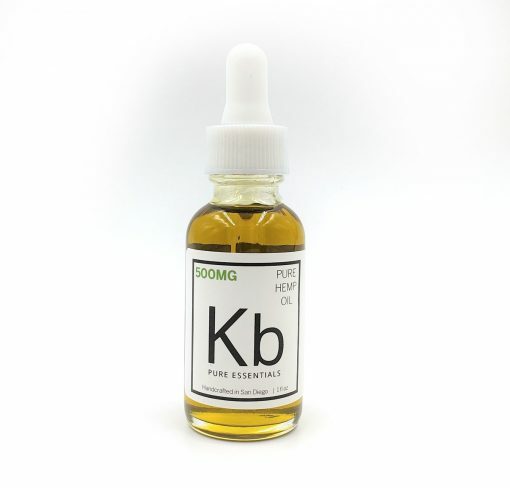 All batches tested by SDPharm Labs (an independent lab). Manufactured & Distributed by: kb Pure Essentials, LLC. San Diego, CA 92123. If pregnant or breastfeeding, ask a health care professional before use. Children under 18 or individuals with a known medical condition should consult a physician before use. I absolutely love this CBD! Found you guys at liberty market about a year ago and have been a fan ever since! I have anxiety/depression and am currently dealing with some physical issues related to a severe illness. (My joints are inflamed/ache and I have vertigo). When I feel pain coming on I take an extra dose and I feel so much better. Thank you for making such wonderful products. I have MS and this has been such a blessing as I am sharper, it helps with my “brain fog” also with my body aches as well! I use it for my dog and she had no siezures since! Now I just have to afford it! Hi AC! Thank you so much for your comment and we’re so happy to hear that you’ve had such positive and life changing results using our amazing products. We wish you continued health and much happiness! I take this before bed to calm my mind and ease anxiety. It helps me get a good night’s sleep. Great customer service and prompt delivery too!